← Enjoyable Articles From the Past. 2018 05 14. East West Goodwill Games!! Myklejord and Taylor Carry The Day at Betmar!! By Earl Ball. Dean Myklejord repeated as Mingles/Singles Champion at Betmar on Monday, May 14th. 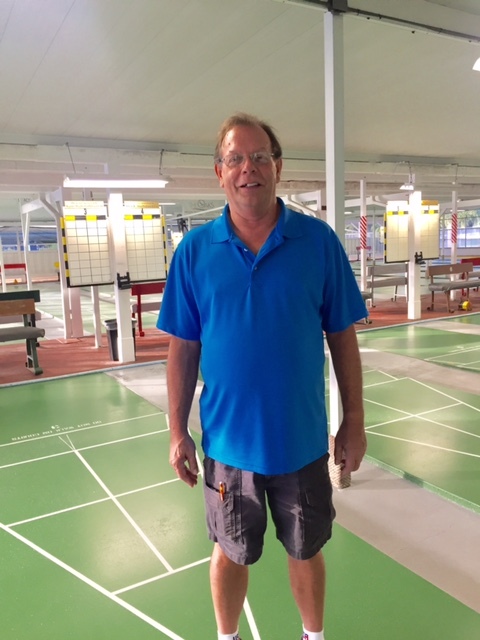 Dean won six games but only because his opponent, Steve Raimondi, missed Dean’s disc with his last shot in the last game. If not, Steve would have won 7 games and the Championship but by losing, he only won 6 games and so did Dean who out pointed him for the Championship. 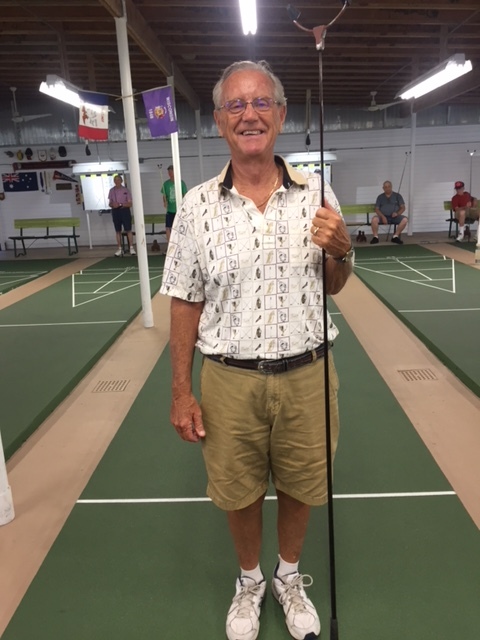 Belmar’s, Harry Taylor, swept the Amateur Division winning all 8 matches. Pic on left. Sent along by Earl Ball 2018 05 14.